Got a Nexus 4 or original Nexus 7? Good news: Android L confirmed! We can now safely say that Android L will be rolled out to the Nexus 7 (2013), the original Nexus 7 (2012), Nexus 5, Nexus 4 and Nexus 10. That's because Google has released source code for more Nexus devices to developers, allowing them to install the early version of Android L on more handsets. During Google I/O the search giant announced source code for the Nexus 7 (2013) and Nexus 5, which left many wondering if older devices would see Android L at all. The new code releases also support the Wi-Fi-only and Wi-Fi + cellular Nexus 7 tablets - both new and old - ensuring every base is covered. 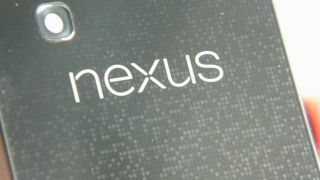 There's no word on the Samsung Galaxy Nexus or the Nexus S, and we suspect that Google may well have drawn the line here and won't be supporting the handsets which launched with Ice Cream Sandwich and Gingerbread respectively. While the code may be available to developers, Android L isn't due to launch on consumer devices until September or October this year - so you'll have to wait patiently for a few more months.